Zumba is a great way to lose weight, get in shape and have fun! While Zumba is dance based, you don’t have to know how to dance to get the benefit of it – just follow follow the leader. 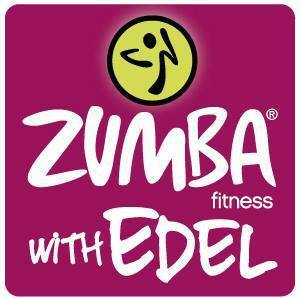 Why not try Zumba with Edel Mckeogh and see for yourself at one of her local classes? Since she started her own journey, Edel has lost nearly 6 stone and has actually enjoyed doing it. During a class you can burn up to 750 calories without even realising it. This when combined with a healthier eating plan, can help you to achieve the kind of results that Edel herself has enjoyed. There are no forthcoming events listed. Please check again soon. Rachael Martin, will you be joining us this time?? Pity it isnt Friday mornings !!! Any plans to do it in the evenings in Killucan Edel?